Okay, I know I usually review books that are new, but I felt the desire to re-read these books, and since not everyone knows about them I thought I should share some of my favourite books of all time. This collection has three of the earlier books published in the Pern series. I’m not entirely sure why they were grouped as a trilogy since there is a huge gap chronologically between book 2 and 3. 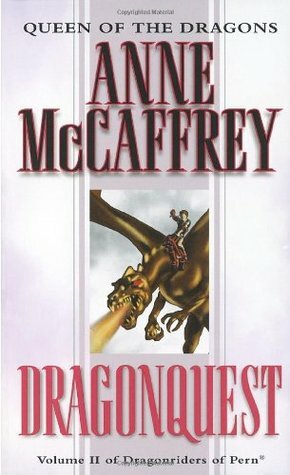 Anne McCaffrey wrote a trilogy in between those two that includes a completely separate story line that is referenced rather frequently in the third book. But since the author decided these three were a set, I’ll just write a short synopsis for each of the books in this collection, hopefully without too many spoilers so you can enjoy the books on your own. Dragonflight: After 400 years of clear skies, Pern is once again under threat of being destroyed by an alien spore that eats through everything but rock. Dragonriders have been tasked with burning the menace out of the air for countless generations, but after such a long time, no one believes that the threat is real anymore. With so few dragons left, and only a handful of dragonriders who truly believe that danger is imminent, how will they ever be ready in time to face their ancient foe? Dragonquest: Tension mounts in the Weyrs as the older generations of dragonriders have become tired of fighting their old enemy, Thread. The alien spores have been raining down on Pern for the last seven years, and everyone is starting to feel the strain. When lost technology is found that could possibly help the dragonriders attack Thread at its source, they must decide what to do with this new information. Further complications arise when a Weyrwoman turns her back on her fellow riders and takes up with a merciless lord holder who has been causing problems everywhere he can. 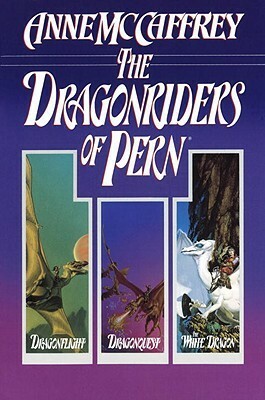 The White Dragon: More information about Pern’s past comes to light when the accidental dragonrider, Jaxom (who is also a Lord Holder) become sick while on the Southern continent and stumbles across the deserted remains of Pern’s first settlement. The Oldtimer riders and dragons have been causing problems, but the real issue lies with all the unexpected history that has been long forgotten since the first settlers came to the planet. While many people are excited about recovering lost knowledge, there are a few who would rather see Pern continue on a more traditional path and will do everything in their power to stop those who wish for change. These books have a lot of amazing characters, and although I’ve read that some people think they are a step back for feminism because of certain moments where female characters are shaken or demeaned, I have never seen them that way. The world was written to resemble a medieval society at the beginning, but there are some strong female characters that play a huge part in ensuring that their home isn’t destroyed. Even the women who aren’t major characters often prove to be strong and independent, with even the worst of them in control of their own actions and intentions. My favourite of this set is The White Dragon because you finally get to learn a lot of Pern’s history. There are so many stories that branch off of this book, and reading them all will let you fully understand this amazingly rich world full of amazing creatures and heroic characters. Some of the stories happen before The White Dragon, while others happen concurrently, but even without them you can still enjoy this trilogy. 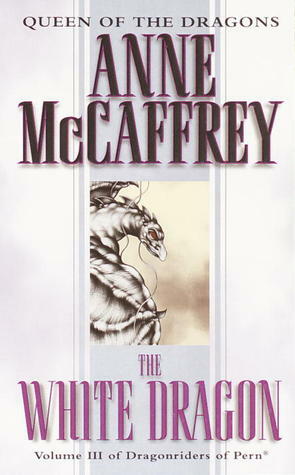 When I first read these books I had no idea that McCaffrey had even written other books, so I reread this trilogy many many times before ever picking up the others in the series. Do you have a favourite series that you love to reread? Is it Harry Potter? Come on… you can tell me. Or is it something different? If you haven’t read it yet, you should give it a try. Like I mention in my review, it might be a bit confusing for new readers when so many events seem to happen “off screen” in the third book. 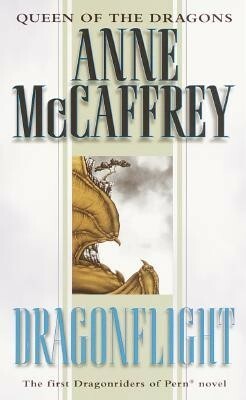 I would suggest getting Dragonsong, Dragonsinger, and Dragondrums to read before moving on to The White Dragon. It will save your sanity. It seems like this would be a collection of 6, not 3, if the author references other books in the 3rd book of this trilogy. I feel that way about Mercedes Lackey. I’ve read one trilogy from one world of her massive collection of writing, but it’s all linked. It’s not published chronologically with the world, and readers often don’t know where to start! Valdemar! That’s the word I was looking for. I’ve read the Magic trilogy (with Vanyel) and have the Arrow trilogy, but when I start reading the first Arrow book, I notice Vanyel is in it…despite the first Arrow book having been published ages before Vanyel’s story! Yeah, it took a while for some of the back stories to come out in that series. I personally like to read McCaffrey’s books in chronological order rather than publication order. I actually really like all the books she wrote about characters who aren’t dragonriders. I inhaled these books in middle school. I hated going to the cafeteria during lunch time, so I’d hide out in the library and get a good start on the next book in the series. I’d finish it at home that night, and come back for more the next day. I barely remember them now, but they were good friends to me back in the day! I like to reread the first few every now and then. I really should break out my collection and read some of her later books in the series. There’s one trilogy about one of the mining camps that was absolutely brilliant, but I haven’t read it a second time yet.